Exercise-induced bronchoconstriction (EIB) describes the phenomenon of transient airway narrowing in association with physical activity. Although it may seem likely that EIB would have a detrimental impact on athletic performance, this has yet to be established. The aim of this review is to provide a systematic appraisal of the current status of knowledge regarding EIB and exercise performance and to highlight potential mechanisms by which performance may be compromised by EIB. 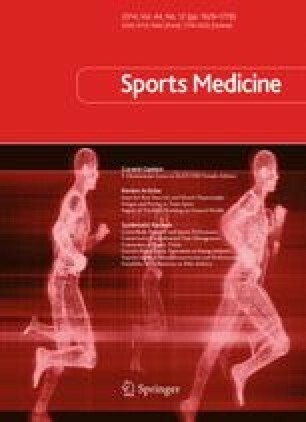 PubMed/Medline and EBSCO databases were searched up to May 2014 using the search parameter: [(‘exercise’ OR ‘athlete’) AND (‘asthma’ OR ‘bronchoconstriction’ OR ‘hypersensitivity’) AND ‘performance’]. This search string returned 243 citations. After systematically reviewing all of the abstracts, 101 duplicate papers were removed, with 132 papers excluded for not including an exercise performance outcome measure. The remaining ten studies that met the initial criteria were included in this review; six evaluated the performance of physically active individuals with asthma and/or EIB while four assessed the effects of medication on performance in a comparable population. The evidence concludes that whilst it is reasonable to suspect that EIB does impact athletic performance, there is currently insufficient evidence to provide a definitive answer. No sources of funding were used to assist in the preparation of this review. The authors have no real or perceived conflict of interest in respect of the content of this review. The manuscript does not contain clinical studies of patient data. All authors contributed to the preparation of this manuscript. IOC.http://www.olympic.org/olympic-results/london-2012/athletics. 2012. Accessed Jan 2014. Bonini M, Di Mambro C, Calderon MA, et al. Beta-2 agonists for exercise induced asthma. Cochrane Libr. 2009. doi: 10.1002/14651858.CD003564.pub3. WADA. http://www.wada-ama.org/Documents/World_AntiDoping_Program/WADP-Prohibited-list/To_be_effective/WADA_Prohibited_List_2011_EN.pdf. Accessed April 2014. Dickinson J, Molphy J, Chester N, et al. The ergogenic effect of long-term use of high dose salbutamol. Clin J Sport Med. 2014. doi: 10.1097/JSM.0000000000000076.